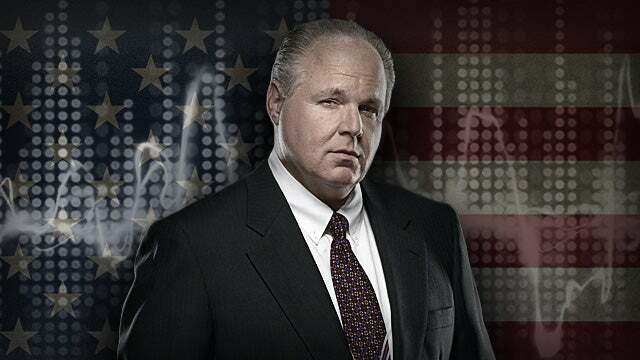 RUSH: We have more breaking news, ladies and gentlemen. 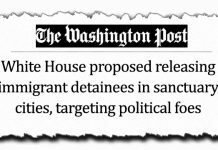 Dianne Feinstein… This is despicable. It is obvious that the efforts they have made to bribe Susan Collins into voting against Brett Kavanaugh have failed. You know what that is? There’s a bunch of leftists that have been threatening Susan Collins. These questions set up a collection campaign, GoFundMe or something like that for one of her opponents in the Maine to the tune of maybe a million dollars to run against her if she votes for Kavanaugh. Man, are they grasping at straws now. What do you think this is? What is it? Some anonymous person that doesn’t want to take it anywhere has gotten hold of Feinstein despite the fact this anonymous person wants to stay anonymous and doesn’t want to come forward or press the matter. Despite all that, DiFi says she’s honoring that decision but has referred the matter to federal investigative authorities. How is that not pressing the matter further? So what do you think this is? Want to take a stab at it? What is she referring to? What could possibly be so earth shattering so late in the game, when Grassley has scheduled the vote for Kavanaugh or is close to? I tell you what I think. I think it’s a #MeToo thing. 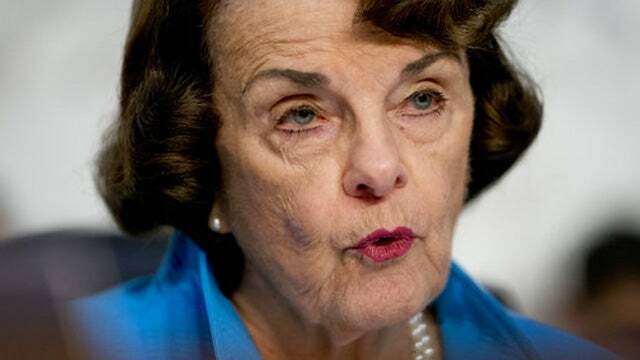 I think Dianne Feinstein’s trying to say that a woman has come forward and has evidence that Kavanaugh mistreated her. What else could it be? Ah, I guess it could be any number of things. But that’s the first thing that comes to mind. And if it is that — if it’s something that got Weinstein, if it’s something that got Leslie Moonves and now this guy at CBS, Jeff Fager — well, there’s no way this could be investigated before the vote. So it’d be a cloud hanging over Kavanaugh. This investigation that she’s referred it to. There’s no investigation that can happen before the vote; so got this giant cloud now hanging over Kavanaugh at the time of the vote placed there by a desperate Democrat Party and Dianne Feinstein, who had a spy from China on her staff for 20 years! Nobody cares; nobody seems to think it’s a problem. It’s a hail Mary because they have apparently failed in their efforts to intimidate and bribe Susan Collins. 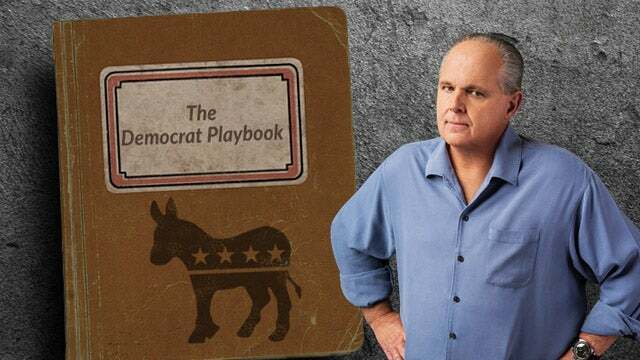 RUSH: Without knowing what it is that this late comer has told Dianne Feinstein, stop and think of something. This is almost like Clarence Thomas. Near the end of his confirmation hearings, all of a sudden here came Anita Hill. This guy, Kavanaugh, they have turned his life inside out and upside down for how many months now, and at the last moment somebody nobody found, somebody nobody had any idea existed has tiptoed forward to anonymously tell Dianne Feinstein? I wonder if this somebody in the Trump administration or maybe a journalist pretending to be whatever this is. I guess we shouldn’t be surprised. It’s an attempt to get in on the #MeToo movement. The #MeToo movement has ended up destroying too many Democrat guys. Moonves is now gone, Jeff Fager at 60 Minutes is now gone, Weinstein, of course, is gone. There’s a whole slew of ’em, of liberal Democrat men who are literal pigs when it comes to treating women. I guess they’ve gotta find a way here to stop Kavanaugh. They tried bribing Susan Collins into voting against him. She’s resisted those efforts. No, you haven’t. You sent the letter to the FBI. “I have, however, referred the matter to federal investigative authorities,” which would be the FBI. 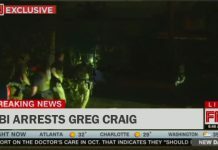 And TheHill.com, attorney Debra Katz believed to be representing the woman who is the subject of the letter, and sources told The Intercept that the letter was relayed to lawmakers by an individual that was affiliated with Stanford. Some sources told the publication it was an incident involving Kavanaugh and a woman while they were in high school. I think it’s strange the guy’s had his life thoroughly examined for how many months now, certainly weeks? And they come up with nothing. In fact, when it comes to women, there are liberal women who have said he’s a genius, he’d be great on the court. There are women who have worked with him throughout his career who have done nothing but say the most amazingly positive things in recommending him. But they found somebody from high school — oh, no! No! I take that back. They didn’t find anybody. They were minding their own business and somebody affiliated with Stanford University decided to say, “You know what? They didn’t get rid of the guy. I gotta stop him.” And so out of the blue, Dianne Feinstein gets this letter. It is despicable. Now I tell you what I expect to happen. A bunch of people on our side of the aisle, rather than rejecting this out of hand and characterize it for what it is, are gonna start wringing their hands and get all worried, “Oh, no,” and start talking about how an investigation can’t take place before the vote. “Oh, no, what do we do?” And then some voices, maybe Trump should withdraw the nom. Don’t be surprised if you hear this. Maybe Trump should withdraw. We can’t be tainted by this. I can’t tell you how many times that this has happened where people on our side don’t even question the premise, don’t even challenge the premise, just accept it, try to limit the damage so that it doesn’t affect them. RUSH: Don in Chicago, great to have you on the EIB Network. Hi. CALLER: First-time caller, and I’ve been listening since about a month after Barack Obama took over as president. RUSH: Well, thank you. I’m glad you’re out there, sir. CALLER: Good. Just an observation. I think the purpose of this Dianne Feinstein issue is not only to delay the Kavanaugh hearings, but regardless of how the Republicans react, the Democrats will have it to use as a campaign issue. RUSH: Oh, obviously. You mean a campaign issue above and beyond the Kavanaugh hearings? CALLER: Exactly. On it or regardless of how the Republicans — if the Republicans hold off, they’ll say, well, they’ve gotta hold off and the Republicans don’t want to hold off. If they go ahead with it they’ll say the Republicans went ahead and everybody knew that there was an issue here. RUSH: You know what? There’s no stopping it now. They’ve pulled the trigger on this. So we have to follow this through and find a way to deal with it. You know, the Access Hollywood video didn’t work with Trump. These people keep going back to the same pages in their playbook. I’m telling you, this is Clarence Thomas and Anita Hill redux. 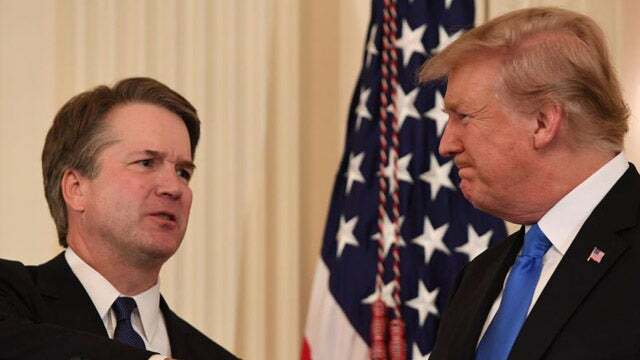 I guarantee you right now, everybody in the Drive-Bys are going through yearbooks, okay, high school, Stanford, she’s there now; so who went to high school with Kavanaugh, who’s at Stanford now? They’ll come out with a database of people, they’ll start narrowing it down. And it is to provide a cloud over the vote. I think they may have a dream that this would suspend the vote, delay the vote, it’s a serious allegation. We’re back here — the Mueller investigation is this. Clarence Thomas, there was never any evidence other than a pubic hair on a Coke can. That was it. And that couldn’t be proved. 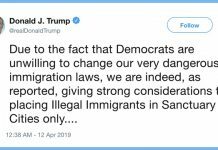 So what we have here is not the nature of the evidence, once again the Democrats are trotting out the seriousness of the charge mandates that we investigate even though there isn’t any evidence, the seriousness of the charge, and that’s what Mueller is relying on too.